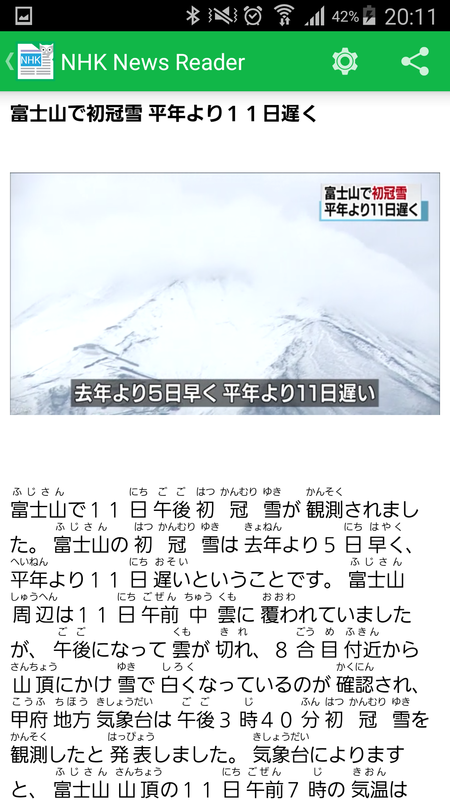 This app lets you watch and read daily Japanese news provided by NHK NEWS with furigara for Kanji reading and it is totally free! This apps will suite with JLPT N2, N1 level. 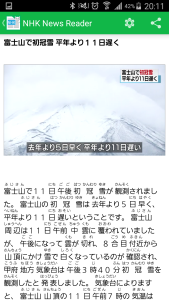 This entry was posted in Languages, Mobile Apps and tagged Easy, furigana, japanese, news, NHK, read, reader, reading, video, watch, watching. Bookmark the permalink. Hi,I want to download the App “NHK News Reader2 with Furigana” from Google Play,but I can’t download this app because my device not support. Would you send this App by E-mail? I have sent you the apk file. Hope you enjoy the app.